5G is being rolled out fast right now, without the FCC waiting for governmental standards, with Verizon testing it out in 11 US cities and ATT also conducting experiments. For those who don’t know, 5G is the latest wireless system that telecommunications companies are trying to implement to service wireless communication. It’s designed to allow faster downloads of more data. It uses the 28, 37 and 39 GHz bands, also known as millimetre wave (mmW) spectrum. 5G, which comes from the term 5th generation, is designed to work in conjunction with what former CIA head David Petraeus called the Internet of Things or IoT. The agenda is to hook every single material thing on the earth, as well as humans themselves, onto a vast planet-wide web where everything and everyone become nodes on the network – connected by microchips which are nano-size and can be inhaled (like smart dust). Many people are encouraging the advancement of 5G by their desire at all costs for convenience and speed (give me my multiple gigabit downloads now!). People are foolishly valuing this over privacy, safety and health. 5G is not merely an upgrade of wireless infrastructure; it is a giant leap towards the erection and installation of a total technological control grid. The agenda is to cover the entire Earth – including rural areas – with the 5G electromagnetic blanket, so that its effects can literally not be escaped by anyone living on this planet. If I haven’t got your attention yet, please take a look at the below video, where FCC (Federal Communications Commission) head Tom Wheeler lays out how 5G is going to happen – consequences be damned. At the 2:42 mark, the video goes through an edited version of his June 2016 speech at the National Press Club in Washington DC. From my perspective, Wheeler appears more than just intense or defiant; he borders on the psychopathic. This guy is another former corporate lobbyist using the good old “revolving door” at the top of the business-political world. He now occupies a key governmental office to promote the agenda of his former industry (telecommunications). He is advocating the rollout of a game-changing technology (with toxic and cancerous side effects for some) that’s going to affect all life on Earth, but he doesn’t want to wait for safety standards. Later in the video, Wheeler ignores and dodges questions about the wireless radiation-cancer connection. All parts of the Earth will be covered, so there will be urban and rural radiation saturation. Like all things in the New World Order, 5G can be understood on many levels. Yes, it’s about companies rushing forward to make money using unsafe technology and unproven products (a very familiar theme throughout human history – see tobacco, Big Pharma drugs, vaccines, GMOs, etc.). However, that’s only the surface level. That is nothing new. The deeper level is really about the construction of a total technological control grid whose ultimate purpose is to know what you’re thinking and feeling, and then be able to change what you’re thinking and feeling so as to control your actions. In other words, complete technological slavery. Like many aspects the worldwide conspiracy, most people who push forward their particular aspect of the overall agenda have no idea of the deeper ramifications or where the whole thing is headed. If you think that’s its farfetched to connect 5G and the IoT with a technological control grid, consider the latest evidence. Do you know that our skin (the largest organ in our body) directly responds to 5G? Are you aware that our sweat ducts act as antennae? Do you know that our sweat ducts can receive signals? We are energetic beings, first and foremost. We vibrate and exude frequencies. To affect people energetically is to affect them physically. Some people in the mainstream may have been shocked to discover the extent of CIA spying on their lives, but that is truly the tip of the iceberg. If the technology already exists to affect, influence and (as we will learn) control the human frequency field and energetic structure, how close are we already to technological slavery? Think about it – our natural rhythm is something close to the Schumann Resonance of the Earth, which is 7.83 Hz. We are talking about frequency bands not hundreds, not thousands, not millions, but actually billions times this frequency! 28 GHz is 28,000,000,000 (28 billion) cycles per second! Now we have electronic devices that operate in the THz band (TeraHertz, which is trillions of Hertz). To say this is completely unnatural is the understatement of the millennium. It is completely out of balance, disharmonious and insane. It is wreaking havoc on our energy fields. Schneider is a computer expert so his idea of dangerous seems to be limited to software flaws and hacking vulnerabilities. However, the conspiracy goes much deeper than that. The IoT is slated to become the technological control grid in which every single material thing, living and non-living, is attached, and in so doing loses its independence and free will. The IoT is a fake, synthetic version of the already existent network of Nature that surrounds us. However, the dark force behind this agenda cannot control that grid, so is seeking to replace it with one that is detrimental to human health and in which all the nodes on the network can be controlled. This dark agenda – this Synthetic Agenda, this Transhumanist Agenda – to erect a total technological control grid is unfurling way too fast for comfort. We all have to wake up – and fast. With every year that passes, our technological evolution keeps outpacing our spiritual evolution. This can only lead to one thing: technology will fall into the hands of people with little or no scruples who will be happy to use it to further their own ends and enslave others. 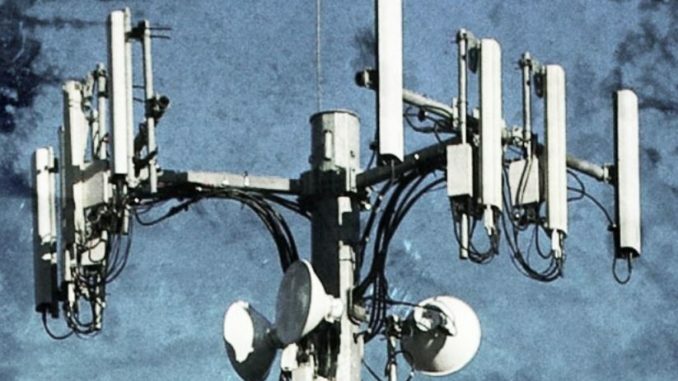 Luckily, some people are waking up to, even people in positions of power such as a group of mayors in Ohio who have filed a lawsuit to stop 5G towers being erected in their counties, cities and municipalities. This really is a race against time. If this technological control grid is rolled out in sufficient breadth and depth of reach, and intensity, it will seriously impact our ability to resist it, because it contains the capability to suppress that very resistance. We are living the plot of a science fiction film – but it’s real life and the consequences are deadly. Will humanity be able to recognize the truth quickly enough? Will we be able to stop the insanity and the construction of networks that enslave us?